Title: Can’t Steal My Thoughts! Notes: It’s the aliens! They’re coming for me, the want to steal my thoughts!!! 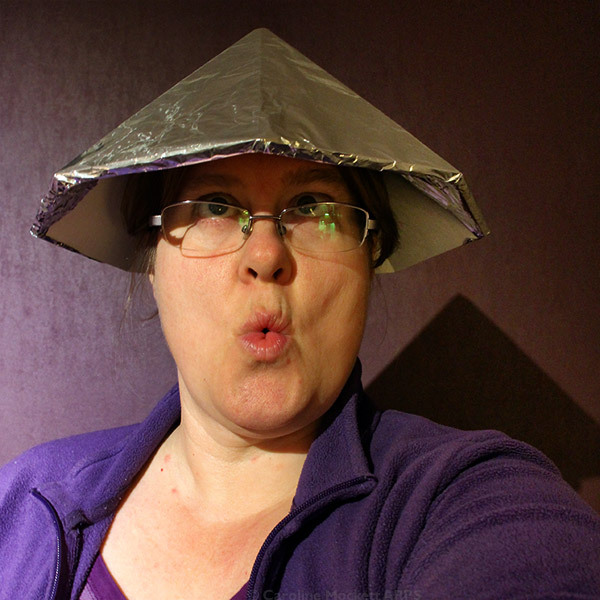 But they won’t get the chance now I’ve got my tin-foil hat at the ready.